Online applications for the MPH/DPH will be accepted from November 2018 to January 2019. Dental Public Health serves the public through preventing and controlling dental diseases, promoting oral health, education, and applying dental research. 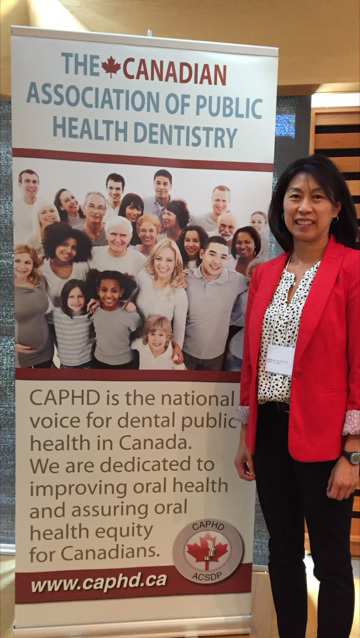 Those interested in helping their communities achieve better oral health, and in becoming the dental public health leaders of the future, should consider the dual degree program offered at UBC. This allows students exposure to the academic and research rigor of the Faculty of Dentistry as well as the interdisciplinary environment and research excellence of the School of Population and Public Health. Graduates will gain a Master of Public Health, giving them good grounding for a career as a leader in population and public health, and a Diploma in Dental Public Health, a dentistry specialty allowing work in a wide variety of environments. This is a combined non-clinical, non-thesis program which encompasses education, field work, and public service components that contribute to the health and socio-cultural progress of Canadians. For more details about the program, please visit the Faculty of Dentistry. Normal course of study is two and a half full-time academic years to prepare the graduate student for practice in dental public health. The schedule below is for the 2016/17 academic year. Applicants must satisfy the minimum requirements for admission by both the Master of Public Health and the Faculty of Dentistry. Applicants to this graduate program must hold a DMD or its equivalent from a recognized university, a degree in dental hygiene, or a dental hygiene diploma from an accredited program with a Bachelor degree or a dental hygiene degree. For more information on the Faculty of Dentistry admission criteria, please contact Jackie Lee at fodadms@dentistry.ubc.ca. The curriculum has a solid grounding in critical thinking and evidence-based practice that combines a wide range of courses from the UBC School of Population and Public Health and the Faculty of Dentistry. Students will gain field work experience in the form of a practicum, involving community participation and research practice at local, national or international partnering organizations. Achievement of the combined MPH/Diploma in Dental Public Health requires full completion of the didactic, rotations, and practicum requirements associated with the Master in Public Health program in the School of Population and Public Health and with the diploma program in the Faculty of Dentistry. In this combined program, the diploma and the master are awarded conjointly and both must be completed to graduate. A student who withdraws from the program does so as a whole, and will not be able to complete the MPH or the diploma alone.